In a world where automation and streamlining seem to be pushing us to try to link everything together, we have no doubt allowed certain services to have access to our LinkedIn account to aid that process, Twitter being a prime example. Most will will be absolutely fine and will serve us well, but they are also essentially access points to our account so it’s worth checking out which back doors you have left open from time to time, just to make sure that they are ones you are aware of. The place to do this is in the ‘Account’ section of your ‘Settings and Privacy page’ under the title of ‘Permitted Services’, here. Check that the permitted services that you have listed here are the ones that you expected and remove any that you either no longer use or would prefer that they didn’t have access to your account. Do be slightly careful in doing so because there are some from LinkedIn themselves that you do want to maintain because of the functionality they provide. You know the feeling you get just after your computer has crashed – that “I wish that I had backed up my …” (fill in the blank yourself) feeling? Well, don’t leave yourself open to this, should anything happen to your LinkedIn account. 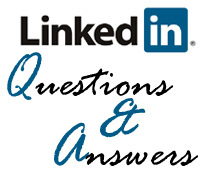 We have the ability to get a download or backup of all of our activity on LinkedIn – this can be done either individually, such as requesting a list of our articles or of our connections, or as a set containing all of the relevant pieces of information on offer which LinkedIn nicely describes as “The Works”. If you choose the top option, “The Works”, then this will take about 24 hours to complete and you will receive email notification when it is ready for you to download as a full zip file containing multiple csv files which are easily transferable into Excel – alternatively, select one of the options in the second set and that will take under 10 minutes to get access to the relevant file. 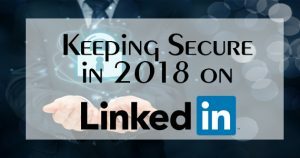 I’d suggest that you get a full back up on a monthly basis so that you have a record and back up of your activity on LinkedIn – you may never need it, but it’s good to have that security. I don’t know about you, but I log into LinkedIn from a number of different places and a number of different devices – I might do so from the comfort of my own office but I will also do so in clients’ premises while running training sessions for them or from a coffee shop where I’m doing some work when on the road. And that’s not forgetting the mobile app too of course. These can all mount up and I, like many of you I guess, don’t necessarily close down each session when I finish. This can leave loopholes that again we really need to make certain are closed off – have a look at yours at Where you are signed in. I think you’ll be surprised. Thankfully, as per the image above, you can see a list of all of the places you are signed in here and close them down individually should you wish to. If security is the name of the game then that’s probably a wise move. Not so much a security element this one, but one that can potentially cause grief, at least to a number of people that I have worked with in the past. We can add / associate any number of email addresses to our LinkedIn account, although most of us just leave the one that we set our account up with initially. So that you have the flexibility of running your account as you would like it, it is a good idea to add in additional email addresses that you may have and, at the very least, your work one and a personal one that most of us now possess. Will this increase the email and and notifications I receive, I hear you ask! No, if you have more than one email address then you set a Primary Address and this is the one that both receives your communications from LinkedIn and is the one that is visible in your ‘Contacts and Personal Information’ area to anyone you are connected to. Personally, I would have in here all of your relevant email addresses and even your past ones (so long as you have changed your password – see below) if people might look for you through that. I have 11 on mine which is probably excessive (and potentially a little schizophrenic) – 2 should normally be fine! 5. When did you last change your password? We have all heard about data breaches that can affect online sites and which usually triggers an encouragement to change our password in case our details have been compromised. This is, however, a good idea on a regular basis and in this respect LinkedIn is no different. 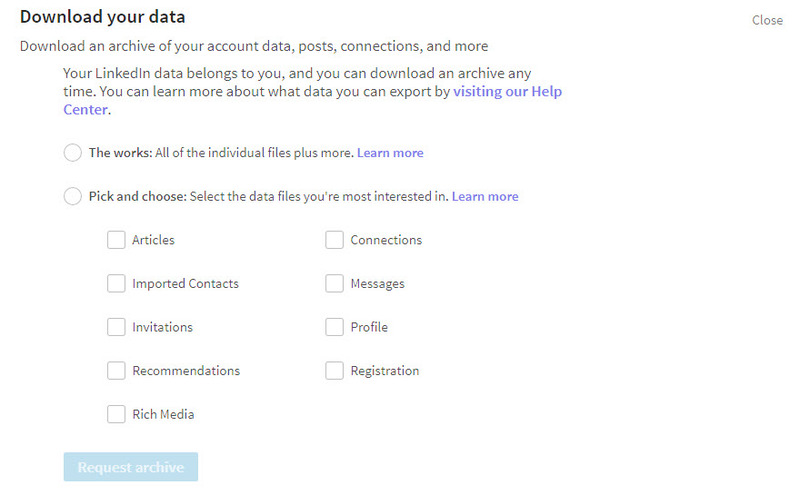 As with most things of this ilk, changing password is in the Setting and Privacy page here. It’s worth remembering that if you have added additional email addresses as mentioned in point 4, all of these use the same password, so there’s only need to make the change once. 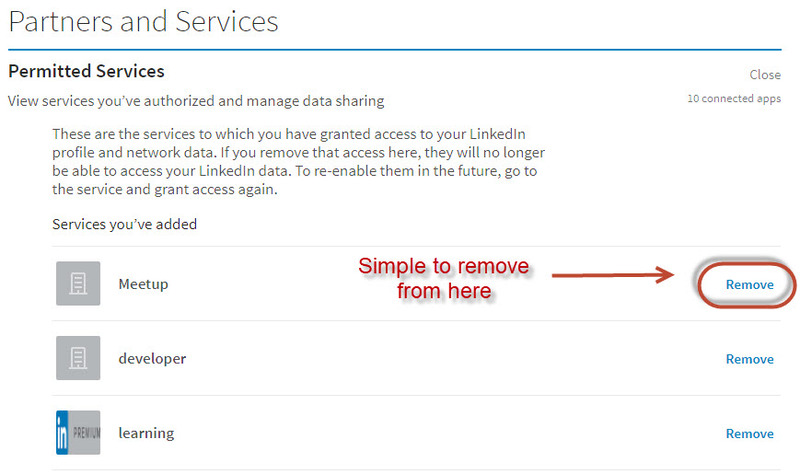 If you want to keep access to your account even more secure, particularly if you have multiple email addresses attached to your account as mention in point 4, then you may also like to activate a second level of protection that LinkedIn offers through their two step verification login. If you activate this, then you will need to attach a phone number to your account and then any time you log in from a new location or venue, LinkedIn will send a verification code to your phone which you will need to complete the log- in process. Very much more secure I’m sure you will agree. You can access the Two-Step verification here and then you will simply need to follow the instructions on the page to confirm your phone number. With that in place you can activate the verification system and you will be logged out of all the places you are currently signed in to LinkedIn and then asked to log in again using the verification code. I hope with these elements that you will keep your details safe and be able to concentrate on using the site to marketing and promote yourself and your company’s services / products securely. 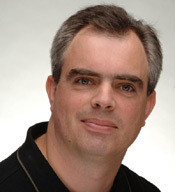 This entry was posted in Advanced LinkedIn, LinkedIn Tips, LinkedIn Training, Security on LinkedIn, Using LinkedIn and tagged LinkedIn Advice, LinkedIn backup, LinkedIn Security, LinkedIn Tips, Using LinkedIn. Bookmark the permalink.